And so, for the fifth time in three years, people across Turkey are off to the ballot box. Early on Saturday morning, 338 MPs approved plans to put the governing AK Party’s executive presidency proposals to a nationwide referendum. 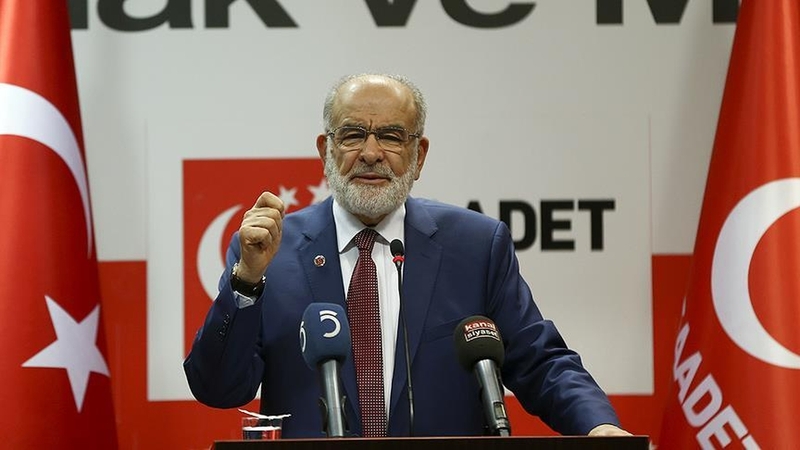 The result dashed opposition hopes that enough MPs from the far-right Nationalist Movement Party (MHP) would rebel against their party leadership – as many in their party’s grassroots demanded – and push the result below the 330-vote threshold. To say this bill, which utterly overhauls the way Turkey is governed, was rammed through its two-stage process is an understatement: in the last twelve days, MPs spent 129 hours and 12 minutes debating and voting on the executive presidency. No-one can say it went through quietly. 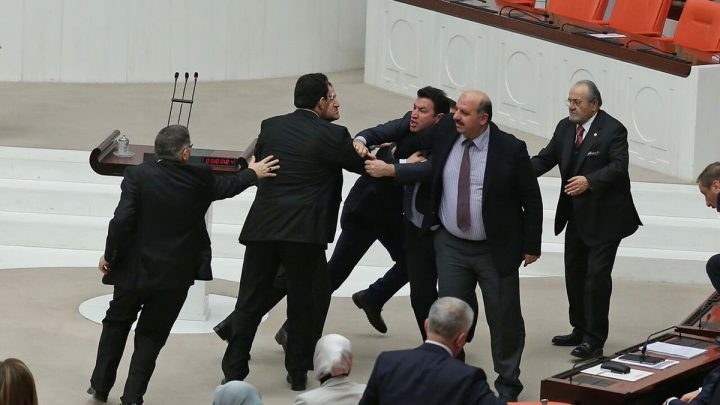 In fact, it was one of the most violent debates in the Turkish parliament’s history. 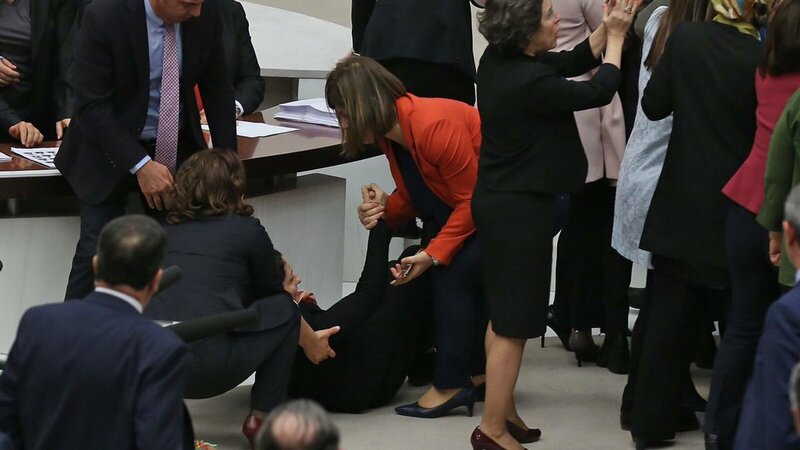 The frequent scuffles that broke out during the debate were so violent that the chamber’s podium was smashed and opposition MP Şafak Pavey’s prosthetic arm was torn off. Once President Recep Tayyip Erdoğan approves the bill, a referendum date should be announced, although it is widely expected to be held on 2 or 9 April. That means nearly three million Turkish expatriates living overseas will vote too – most likely in the last fortnight of March, to allow the ballots to be flown back to Turkey in time. It also means the two-month referendum campaign will be held under the conditions imposed by the post-coup state of emergency that was recently extended for another three months. There are restrictions on the freedom of assembly and speech that could seriously mar either side’s ability to canvass votes. Voting day itself will take place before the latest three-month period expires. As co-sponsors to the bill, the AK Party and MHP will campaign for a ‘Yes’ vote in April’s referendum. 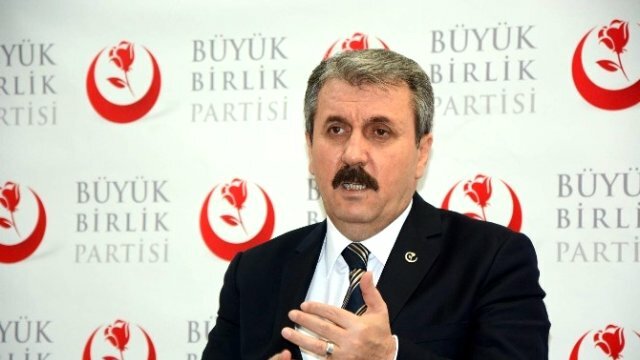 The centre-left Republican’s People Party (CHP) and the pro-Kurdish Peoples’ Democratic Party (HDP) will sustain their opposition in the chamber and rally for ‘No’. Besides the Big Four parties, the most important political party in the country is the religious Saadet, which represents the rump of the movement from which Mr Erdoğan’s AK Party split at the turn of the century. Its leader Temel Karamollaoğlu announced on Wednesday that his party would be campaigning for a ‘No’ vote. But later that day Mr Erdoğan himself made an unannounced visit to the home of Şevket Kazan, a veteran Saadet politician who was Justice Minister in the 1990s when the two men were in the same political party. The outcome of that visit – and whether it will affect Saddet’s position on the referendum – is not yet known. Just about anyone who follows Turkey will know Mr Erdoğan has divided the country pretty evenly, with one half that adores him and one half that loathes him. A referendum only needs the tiniest of majorities to win, so it is easy to see how two parties that won a combined 61.4% of the vote at the last general election can deliver a Yes result. That said, the MHP’s grassroots remain deeply angered with their leader Devlet Bahçeli’s decision to throw his lot in with Mr Erdoğan, particularly after a general election campaign constructed around alleged corruption in the AK Party. Much of the campaign will be defined by which way Turkey’s nationalists divide. It will be interesting to watch what the Grand Union Party (BBP), a far-right rival to the MHP, does in the coming days. But it is Turkey’s political climate – the state of emergency, the restrictions on the press, the deteriorating security situation – that will weigh heaviest of all when the polls open in April. Many will vote Yes for the promise of security and financial stability. Other weary voters, particularly in Turkey’s southeast, may simply not vote at all. This referendum could easily be a coronation.